In this post, we help you find your Windows 7 product key. We also take a look at how you can get your hands on a Starter, Home Basic, Home Premium, Enterprise, Ultimate, or Professional Windows 7 license if you don’t currently have one. (We don’t condone illegally acquiring a pirated version of the software). 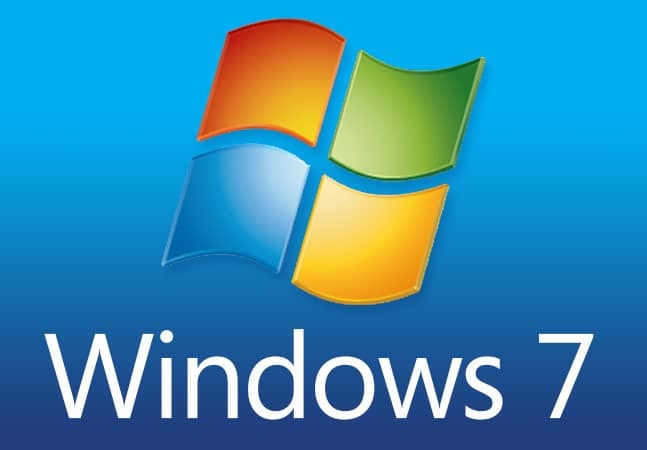 If you are getting ready to re-install Windows 7 you will have to track down your unique Windows 7 product key, also known as the Windows 7 serial key, CD key, or activation key. Typically, this product key is located on a sticker on your computer or laptop, or it will be found with the user manual or on the disc sleeve that was included with Windows 7. If you obtained it from an authorized retailer, then the activation key is located on a label or card within the shipping box that Microsoft Windows arrived in. 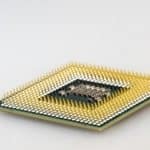 If you’re running a new laptop or computer that’s already running Windows, then the license key is pre-installed on your computer, incorporated within the packaging the computer arrived in or bundled on the Certificate of Authenticity (COA) connected to the PC. If you obtained it after purchasing a digital copy from a Microsoft website, then activation key is located within the confirmation email you obtained after purchasing it. It’s important to note that Microsoft does not keep track of purchased serial software program keys. For information concerning how to determine if your copy of Windows 7 is legitimate Microsoft software, check out their How To Tell page. When you have your activation key, check out Microsoft support’s page concerning how to Create Installation Media For Windows to find out how you can make your own installation media using either a USB memory stick or a DVD. If none of the above options work for you and you do not have an actual physical or digital copy of your product key, that does not mean it has vanished forever. The good news is, a copy of your Windows 7 key is kept in the registry. 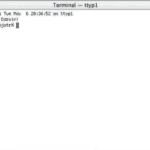 It is encrypted, which means it isn’t readily readable, but there are various free software programs that will help you access it in under a quarter-hour. Manually finding the Windows 7 product key through the registry is almost out of the question simply because it’s encrypted. One important thing to consider, according to Lifewire, the manual strategies that would once uncover the product key for earlier versions of Windows will not work in Windows 7. Those manual procedures are only going to track down the product ID number for Windows 7, not the actual product key utilized for setup. Luckily, a number of free desktop utility programs can be found to assist in finding the serial keys. Lifewire has a list of free product key finder programs for Windows 7 license key location. Popular Key Locators Include: Abelssoft’s MyKeyFinder, Belarc Advisor, Download Game Key Revealer v1.6.32, Free PC Audit,Game Key Revealer, Keyfinder Thing, Lazesoft Windows Key Finder, LicenseCrawler, Magical Jelly Bean Keyfinder, MSKeyViewer Plus, Product Key Finder,Product Key Informer, ProduKey, RockXP, SterJo Key Finder, SterJo Key Finder v1.8 Review & Free Download, Windows Product Key Finder,Windows Product Key Viewer,WinGuggle, Winkeyfinder. They do note that any product key finder that discovers Windows 7 product keys will uncover the product licenses for just about any version of Windows 7: Ultimate, Home Basic, Enterprise, Home Premium, Professional, and Starter. Download and run the license key finder software. You’ll then follow the specific software’s directions. The numbers and letters below represent the usual Windows 7 product key format. The serial key should be formatted like this:xxxxx-xxxxx-xxxxx-xxxxx-xxxxxIt is 5 groups of five letters and numbers. Jot down this key code down just like the key generator program shows it to you for use when re-installing Windows 7. Most of these serial key utilities will allow you to export the key to a text file or allow you to copy it to the Windows clipboard. Buy a completely new copy of Windows 7 from NewEgg, Best Buy, Amazon or another e-retailer. Ask for a substitute product key from Microsoft, which will set you back around $10 bucks. Asking for a replacement Windows 7 product key is actually likely to be less expensive, however, if that does not work out, you might need to purchase a brand new copy of Windows. If you prefer a video tutorial, Dans Tech demonstrates how to get your license key for Windows Vista/7/8/10. He explains that a lot of manufacturers like ASUS, Acer, Dell & HP prefer to sell laptops and computers and not to directly provide the product key or ship a Windows CD with it printed on it. This video, which has worked for a bunch of Windows users apparently, will demonstrate how you can get your product key so you can execute a Windows reinstall without having to buy a new serial key. There are some alternative strategies for acquiring a Windows 7 activation key. We’ve listed a bunch of them below. Undoubtedly one of the easiest, if not free, ways to activate Windows 7 today, many years into its development, is to buy it pre-installed on a brand new personal computer. You’ll receive a manufacturer’s warranty and, more to the point, you get the OEM’s (Original equipment manufacturer) guarantee that the software and hardware were developed to operate together. 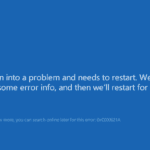 This method also spares you from the annoyance of Microsoft Windows setup, particularly the headaches of seeking out required drivers and system-specific updates if you upgrade (or are downgrading) a Windows PC. You can scour Amazon or eBay to find re-sellers. There are lots of websites where you’ll discover “factory reconditioned” personal computers available at relatively affordable prices. Amazon-owned, discount store, Woot, as an example, features plenty of options in its Computers section, though you will need to drill down into the hardware/software specs to ensure that the operating-system you are looking for is bundled into the computer. Tiger Direct sells “off lease” Windows 7 computer systems for as low as $100. Newegg offers a huge collection of refurbished desktops & laptops. Many of these computers are kind of old- but if you are tech-savvy you could find totally workable hardware that costs a lot less than you would spend on a retail copy of the Windows 7 OS. Staples is another place with a similar selection of refurbished computers in its online shop. According to ZDNet, If you buy a brand new personal computer which has a business version of Windows 8, Windows 8.1, or Windows 10 that’s already installed by the manufacturer, the license agreement provides you with the legal right to downgrade to Windows 7 Professional. 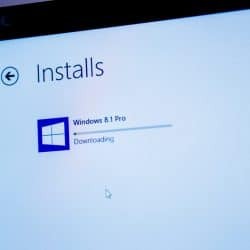 Therefore if your computer originally shipped with Windows 8, 8.1, 10 Pro, you are able to switch the installed operating-system with Windows 7 Professional free of charge. 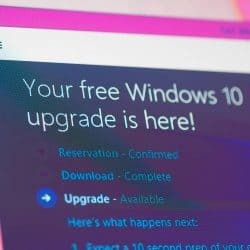 Microsoft support says that downgrade rights are generally only available to name brand computer systems like Hewlett Packard, Lenovo, Dell, & Acer that have Windows 10 factory pre-installed. ZDNet says that downgrade rights aren’t included on systems that are delivered with the core version of Windows 8, 8.1, or 10. Similarly, OEM System Builder copies of Windows 8.x and later don’t include downgrade rights. To carry out your downgrade rights, you can utilize media for Windows 7 Professional that you acquire from any source. During the Windows installation, do not supply a license key. Right after finishing the installation, you will need to activate your freshly installed copy of Windows 7 by utilizing the phone activation option and conveying to the support person that you’re making use of downgrade rights. In the event that the personal computer on which you would like to put Windows 7 on initially included a license for any version of Windows, you can purchase a Windows 7 upgrade license from any software vendor (Amazon, NewEgg, etc.) and install that upgrade on your home computer. There’s no need to reinstall the old operating-system. Microsoft support weighs in- you can read the support thread here for detailed insight. The costliest choice is to buy a complete retail license for Windows 7. It’s certain to work together with any computer system, without any installation or licensing complexities. The issue is acquiring this computer software- because Microsoft ceased selling a long time ago. The majority of merchants online these days just offer OEM copies of Windows 7. If you’ve recently purchased a retail copy of Windows 7, according to ZDnet, any full or upgrade activation key bought via a Microsoft retail channel or from Microsoft itself can legally be transferred to another computer system. Additionally, if you’ve got the original Windows 7 installation media and license key and have taken it off the operating-system of the Personal computer on which it was first installed, you are able to recycle that key on any personal pc. You could be expected to activate over the telephone. So, when questioned, make sure to let them know that your particular copy of Windows 7 is installed on just one laptop or computer. ZDNet does note that that OEM copies of Windows 7 that have been set up on computer systems by the manufacturer are locked to that system and can’t be transferred. A Windows 7 keygen activator tool will produce unique product keys for setting up Windows. Windows 7, like other versions, will require exclusive and legitimate product keys as a prerequisite for installation. Quite simply, you’ll need a license key if you’d like to legally use Windows once you do the installation. Using a key activator will save money if you’re dealing with the alternative of purchasing a copy of Windows 7, however, it’s important to note that product key generators ideally will reproduce a product key that your Windows installation media views as legitimate. Having said that, it won’t find your legal Microsoft Windows serial key. No Windows serial key generator is legal and, more and more, no keygen can be used to activate the Microsoft Windows 7 OS. It’s important to note, no product key for Windows 10, Windows 8, or Windows 7 that a key-generating program produces can be legally used. 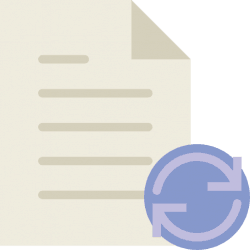 An ISO file brings together all the Windows installation and setup files into a single uncompressed file. If you decide to download an ISO file so you’re able to develop a bootable file from a DVD or USB device, then copy the Windows ISO file on to your drive after which you can run the Windows USB/DVD Download Tool. Windows provides instructions if you want to install or reinstall Windows 7, Microsoft support has a page that will show you how to download a disc image (ISO file) to generate your own installation media by employing either a USB memory card or a DVD. HowToGeek also provides some guidance around creating DVD image files. In this tech tutorial, the YouTuber demonstrates how to download Windows 7 if you have a real product key for Windows 7, which you’ve bought in the past or came bundled with your previous laptop or computer. 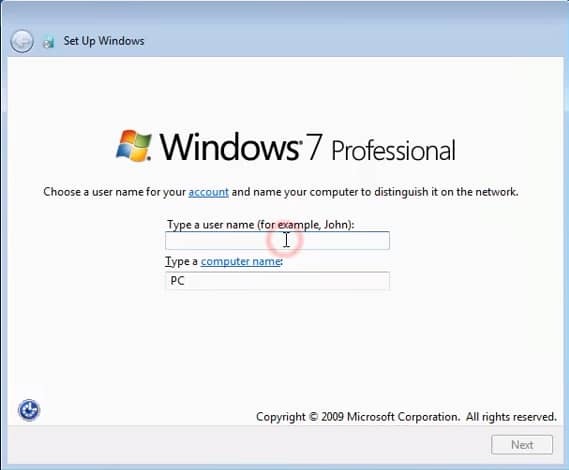 This video instructs you how to do a clean set up using a genuine Windows 7 ISO file. To put it differently, should you need Windows 7 ISO to create Windows media to set up Windows following a system crash, this tutorial will help you out. The creator says that you can freely obtain a download straight from the Microsoft download store after once you type in your authentic product key for Windows 7. The creator notes that this method isn’t a way to ”fake’ your Microsoft OS system, or acquire it via a torrent, and not an illegal copy of Windows 7. This strategy demonstrates a legal Windows 7 download straight from Microsoft and supplied by Microsoft for a free download to create a USB or Disc Image for system set up or back-up media. By doing this you do not end up needing to purchase the media disks once again should you have lost them or didn’t obtain them from the laptop or computer supplier. You need to have a legitimate Windows 7 product key. Microsoft will verify the serial key prior to permitting the Win 7 ISO download to occur. The tutorial above should help you locate your Windows 7 serial key, how to use a key locator utility, and how to use your product key generate installation media.